KIEV, Ukraine -- Batkivschyna Party Leader and former Prime Minister Yulia Tymoshenko has called the October 31 local elections the dirtiest and most dishonest in Ukraine's history. At a press conference in Kyiv on Tuesday, Tymoshenko pointed out that nine days have passed since election day, and official voter turnout and results have not yet been released. "This is evidence that ballot boxes continue to be stuffed, protocols are being rewritten, [and] the results of the elections are being changed with the assistance of judges and law enforcement structures," she said. The Batkivschyna leader said that this was "a well orchestrated scheme to appoint, not elect, people to key posts in local government." According to her, the international election monitoring organizations have already recognized these elections as not meeting the international standards, criteria and requirements. 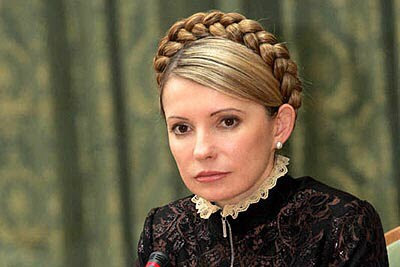 Tymoshenko said that one of the key elements of election fraud was the formation of fully controllable election commissions. To put an end to such actions by the president, a genuine consolidation of society is needed. People should unite not around separate leaders but around new ideas of fair and harmonious life in Ukraine, Tymoshenko said. "Only the idea of real change, which is clear and dear to everyone, can unite Ukraine, and heal it," she said.